In the 1980’s, Vincent Kennedy McMahon made his mark on the wrestling world by aggressively taking out his competition. Not satisfied with being just another promoter, he did everything in his power to monopolize the industry, and drive out all the other territories. In the beginning of time, there was a gentleman’s agreement that certain promoters could run certain regional territories. Invisible lines were drawn, and stepping out of your own territory made you a marked man. Vince McMahon, Sr. respected these boundaries and stuck mainly to his Tri-State Area territory. Junior, however, went out of his way to knock down all of these barricades and take over the entire country. He began running shows in other cities, alongside his competition. Why not? His wrestlers were the bigger draws. Bob Backlund and Andre The Giant were two of the biggest names at that time. If you heard they were coming to your city wouldn’t you want to go see them? Vince McMahon banked on that, and eventually drove out these other promoters, absorbing their talent in the process. WWF’s expansion drove people out of business and killed off large-scale regional wrestling. WWF was like The Borg from Stark Trek: The Next Generation. They went into your town, assimilated its wrestlers, and drained its resources. You might have heard all of this before. As a matter of fact, I know you have. WWE brags about it every chance they get on their documentaries and WWE Network specials. It’s gone from a real life tragedy to a simple anecdote people say when talking about the olden days. Some might say it has no relevance in 2015. What if I told you it was still happening? It didn’t happen over night, of course. It was a carefully plotted out course of action that Vince McMahon laid the groundwork for in the late aughts. There once was a show called NXT. It was a mixture of reality shows like Tough Enough, and game shows like Minute to Win It, and Double Dare. It was filmed before Smackdown and it featured WWE’s developmental talent from Florida Championship Wrestling. That’s when Vince McMahon, ever the virtuoso, got a sick idea in his head. It made great business sense for WWE to cease using FCW as a place to develop its talent. FCW closed its doors, the NXT television show was rebranded as a wrestling show, and it was shot out of Full Sail University. What happened next was a huge display of unadulterated genius. Somewhere between 2010 and now, people were beginning to really gravitate toward independent wrestling. 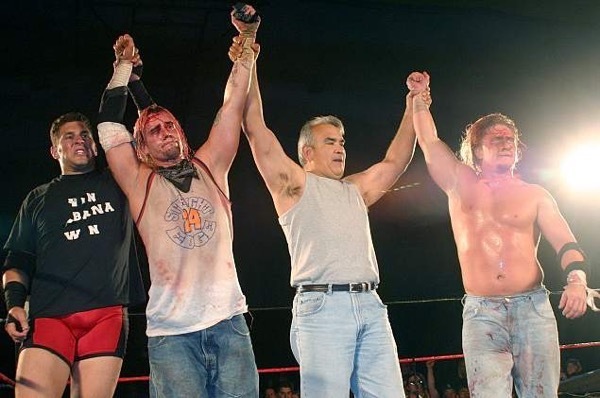 Shows sprang up like Wrestling Society X, and Lucha Underground, that really hit home that grimey indie feel. People preferred attending shows like these, as well as Chikara, PWG, Ring of Honor, and their local indie feds. Fans were tired of how WWE was portraying their talent, not as wrestlers, but as pure entertainers. At the same time, these indie feds promoted pure underground wrestling at its core. The green light went off in Vince McMahon’s head. Take a bunch of these indie guys, mix them in with old FCW talent, and put them on NXT. 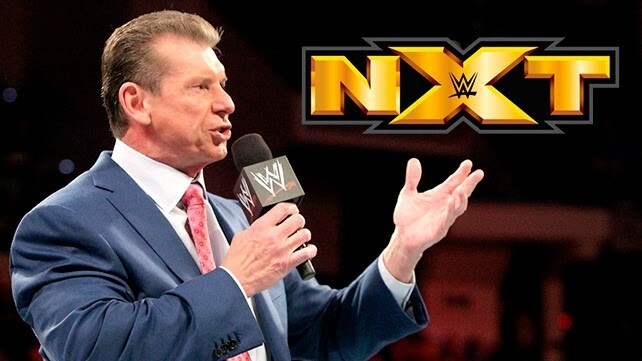 NXT is pushed as an organization independent of WWE. As a matter of fact, Vince McMahon let HHH take the reigns of the show, just so that fans could see that he had no hand in it. He sat back and played the Verbal Kint, while in reality he was Keyser Söze pulling all the strings. The show really took off. People wanted it. The featured indie talent was amazing, and the matches were real wrestling matches, and not just PG fluff. What made it even more desirable was that it featured women’s wrestling. These weren’t just cheeky bikini, lingerie, or gravy bowl matches; these were straight up wrestling matches with women, something straight out of Shimmer Wrestling, and Shine Wrestling. The best part of all this is that they never left Full Sail University. Just recently, as of early this year, NXT began touring. It’s Business 101. You create a product that people want, then you push it out with a limited release. Then, when the whip up enough frenzy, you release it to the masses. This is exactly what Vince McMahon’s strategy was with NXT. WWE has successfully reinvented itself under the NXT brand. And it’s all to the detriment of the independent wrestling scene. Vince McMahon has always lived by his own rule that something will exist until he sees it as a threat. He began seeing indie wrestling as a threat, finally, and he went out to crush it. Where fans used to talk about how great ROH was, they now talk about how great NXT is. Vince McMahon is slowly taking the name ROH out of the lexicon of good wrestling. He is out to systematically destroy them by making them an afterthought in the minds of wrestling fans. All over the country, wherever there is an ROH show, there is an NXT show booked alongside it. It’s the same stunt Vince McMahon pulled on AWA, and other regional promotions back in the day. In the past few years this was an almost impossible to utilize this device, since WWE didn’t have a product that true wrestling fans wanted to see. Now that they do, WWE is pushing forward their next great coup in the wrestling world. It’s the Order 66 of wrestling, and no one has figured it out yet. Why can’t wrestling move ahead in the 21st century? Because Vince McMahon, at the age of 69, still holds a vice grip on the industry, and is still as ruthless as ever, even if no one can see it. Tags: Andre The Giant, Bob Backlund, NXT, PWG, Ring of Honor, Triple H, Vince McMahon, Vincent Kennedy McMahon, WWE. Bookmark the permalink. Previous post ← King’s Quest Episode 1: A Knight to Remember Review: Inconceivable!